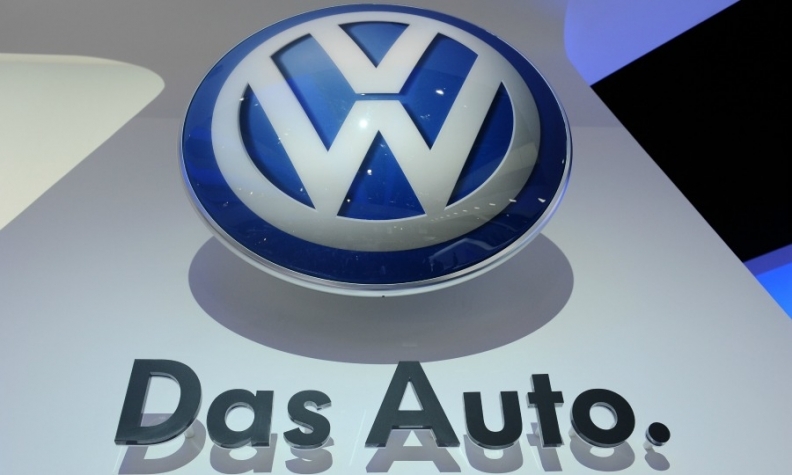 FRANKFURT -- Volkswagen Group increased sales at its core VW passenger car brand by 5 percent in March, the second-highest growth rate in the past 10 months, as recovering demand in Europe and Chinese growth outweighed declines in the Americas. Deliveries of VW brand vehicles rose to 557,800 from 532,400 a year earlier, extending the first-quarter rise to 4 percent or 1.48 million autos, VW said. A month earlier, sales of the VW namesake brand rose only 1.5 percent. The 5 percent March gain is the second-highest increase since a 7 percent rise last September. "Deliveries in Europe continued to improve and we saw further expansion in Asia in particular; however, this contrasted with a tense market situation in South America," VW sales chief Christian Klingler said in a statement on Tuesday. First-quarter deliveries at the brand were up 4 percent to 1.48 million, the company said. VW brand's European sales grew by 7 percent to 422,300 through March, while in western Europe, excluding Germany, deliveries rose 8 percent in the same period to 225,100. In Germany, sales rose 5 percent to 133,100. Sales in China increased by 14 percent to 682,700 vehicles, while deliveries in the United States fell 11 percent to 87,300. In South America, sales plummeted 24 percent to 135,000, with deliveries in the region’s No. 1 market Brazil falling 20 percent to 105,300. VW has a goal to "moderately" increase deliveries in 2014 from last year's record 9.7 million vehicles, ranging from VW brand passenger cars to heavy-duty trucks under the MAN and Scania nameplates. The company plans to run additional production shifts at weekends at its main factory in Wolfsburg, Germany, throughout the second quarter to meet demand for VW brand models including the Golf hatchback and Tiguan compact SUV. European car sales were up for a sixth straight month in March as a gradual economic recovery in Portugal, Spain and Italy boosted demand for mass-market brands.